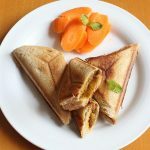 Potato sandwich recipe or aloo sandwich is one of the most delicious and easy Indian sandwich recipes that can be made without much effort. It can be made for kids’ breakfast or after school snack too. Most kids love sandwiches and potatoes too. My kids are no exception to this. I make lot of Potato recipes for them. 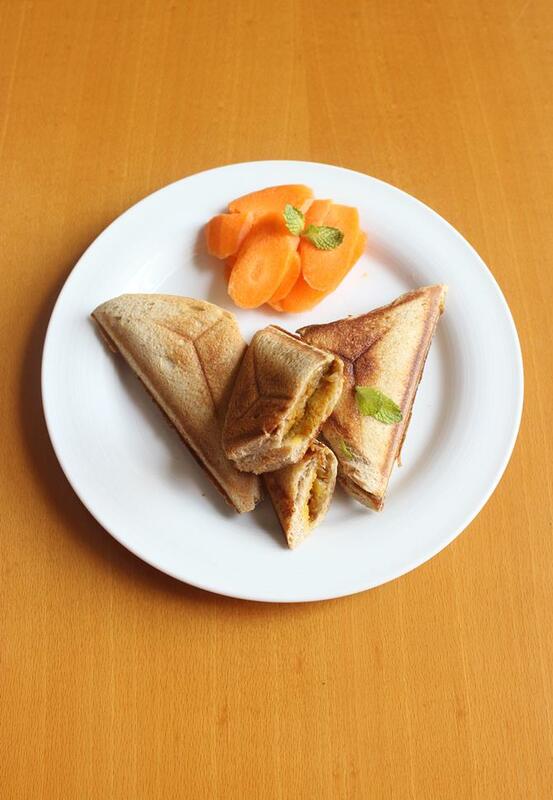 This potato sandwich is made sometimes for their after school snack. Method 1. 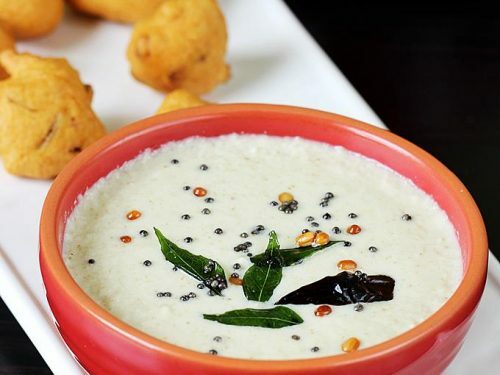 Can use masala dosa potato curry for making sandwich. Method 2. 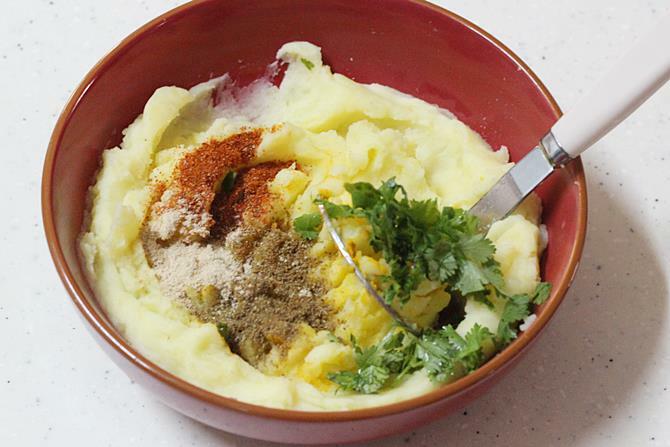 Just use some boiled potatoes, mash them, add chili powder, garam masala, salt and chopped coriander leaves. Mix all well. 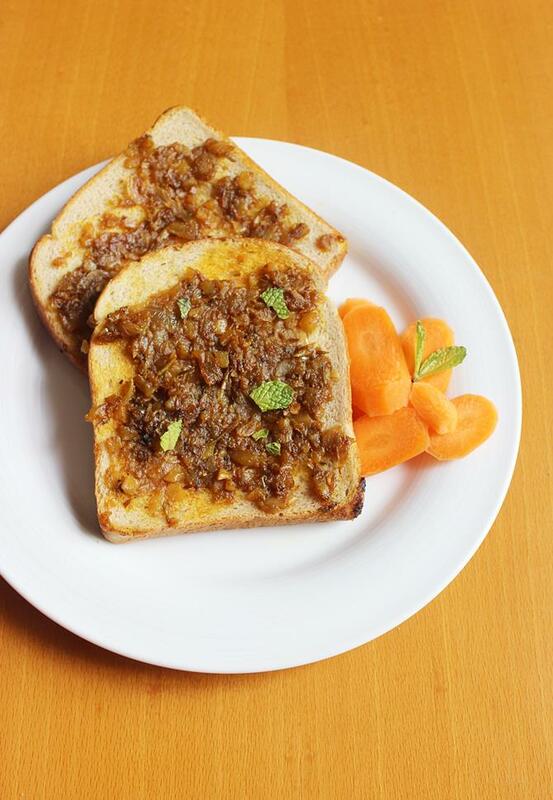 Smear it over the bread slices and toast on a tawa or a toaster until crispy. To make potato sandwich, I did not use boiled potatoes, I directly cooked them in the pan, but you can use boiled potatoes too, whichever is convenient. 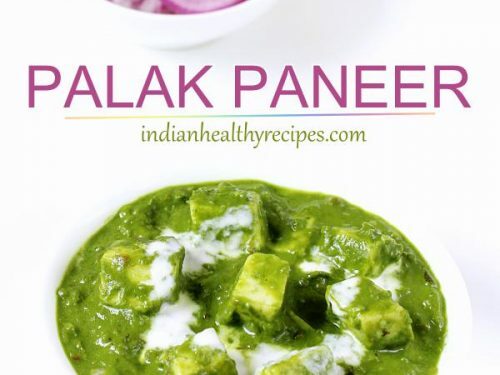 You can add or skip some ingredients mentioned in the recipe, all that to suit your taste. I have used whole meal sprouted flour bread, you can use any bread. 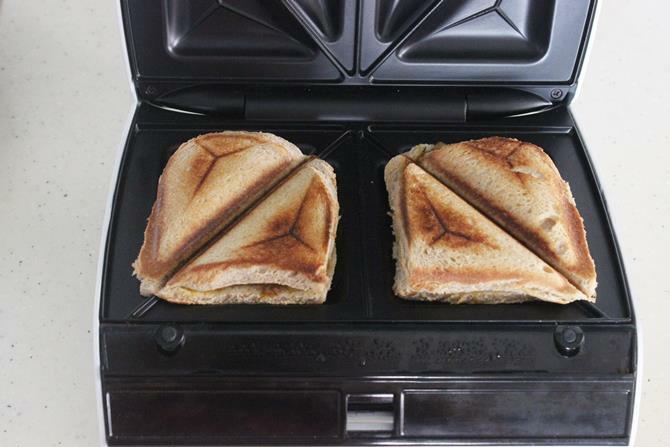 If you don’t have a sandwich toaster, you can make this toast on a tawa. 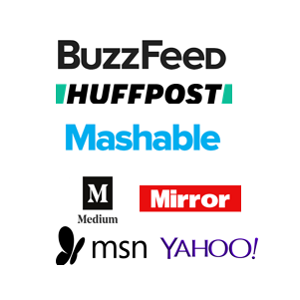 You can make a open sandwich too. 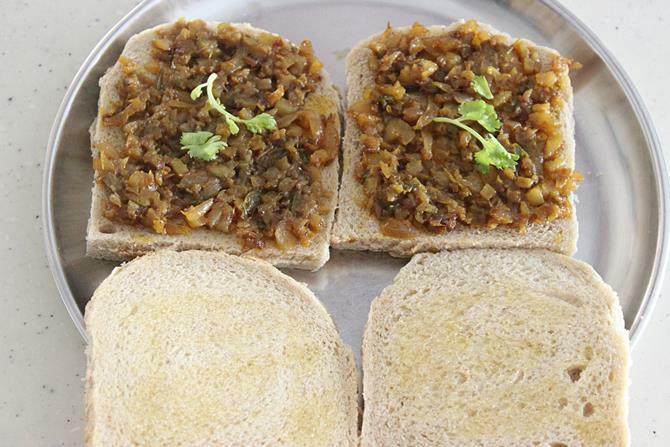 Easy Indian style aloo or potato sandwiches for breakfast or snack. Learn how to make sandwiches in a toaster or pan. If you prefer boil potatoes first, then do it either in a pot or cooker. Add cumin, and allow it to sizzle. 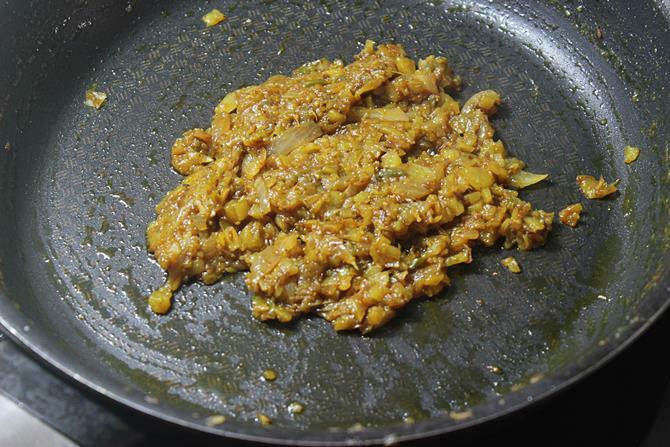 Add ginger and fry till the raw smell disappears. 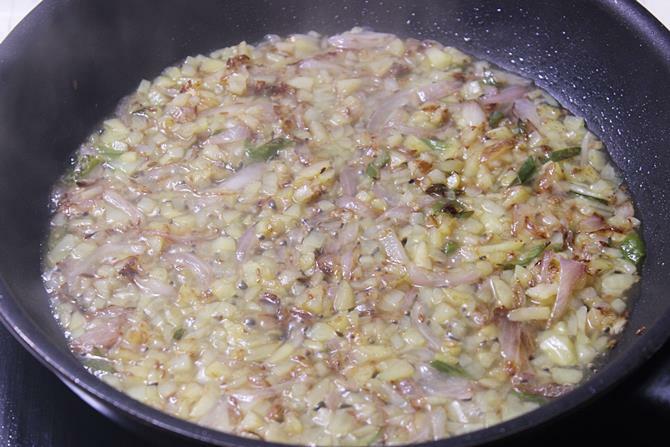 Add onions, green chilies and fry till golden. Add boiled and mashed potatoes or minced. Fry for 2 to three minutes. If using raw aloo, add water just enough to cook potatoes. When the moisture evaporates, add garam masala, red chili powder, fennel powder and amchur powder. Mix everything well. Mash with the back of a ladle or masher. Cook till the mixture binds well. Trim the edges of the bread. Butter or oil one side of the bread. Spread the curry on the other side. 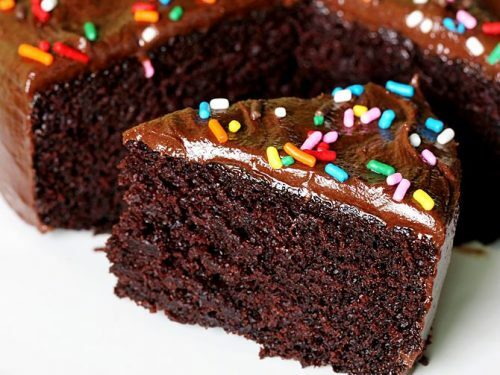 Place another slice on the top. If you do not have a toaster, you can smear the curry on one side. Toast it well on both the sides till crunchy. 1. 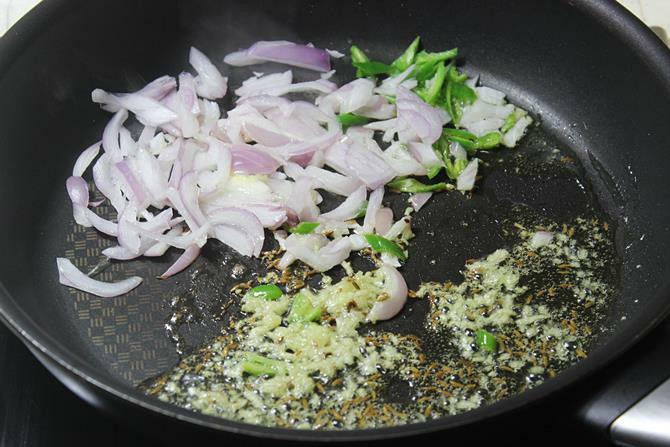 Add oil to a pan and heat, add cumin and let it splutter,add ginger paste or grated ginger and fry till you smell good. 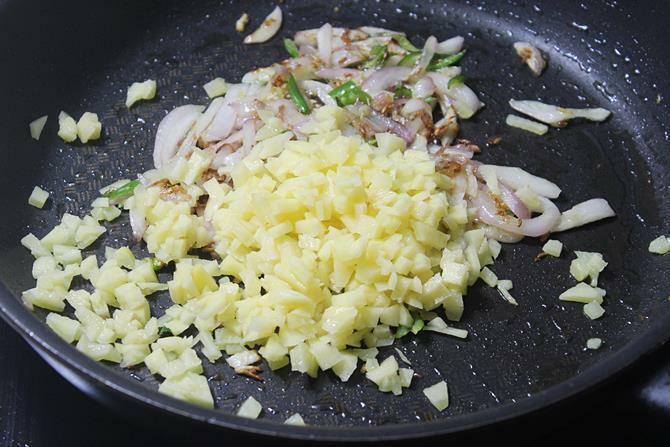 Add sliced onions and green chilies, fry till they turn lightly golden, while the onions fry , peel and mince raw potato or mash boiled potato, whichever you prefer. 2. Add minced raw potato or mashed boiled potato. Fry for 3 to 4 minutes. 3. Skip this step if using boiled potatoes. If using raw mined potatoes, add water just enough to cover the potatoes.Cover and cook till the potatoes are soft cooked and tender. Since they are mined they cook faster. 4. Add turmeric,fennel powder,pepper powder(optional), amchur, garam masala and red chili powder. I added chili powder later, since i forgot. 5. 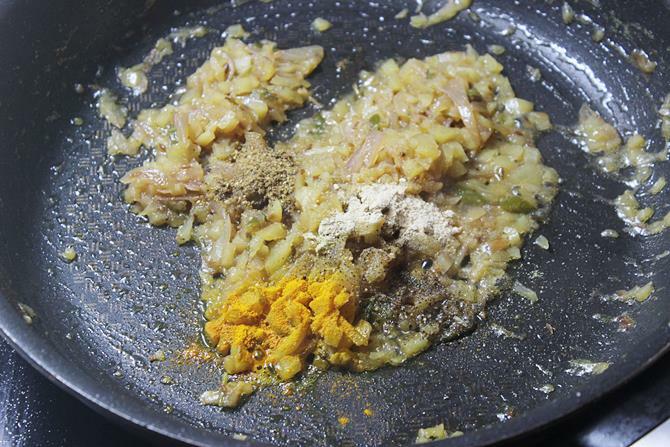 Fry everything well till you get a nice aroma of the masala and the fennel seeds powder. Everything should blend well, potatoes soft cooked and fairly dry. 6. Smear butter or oil on one side of the bread for crust. 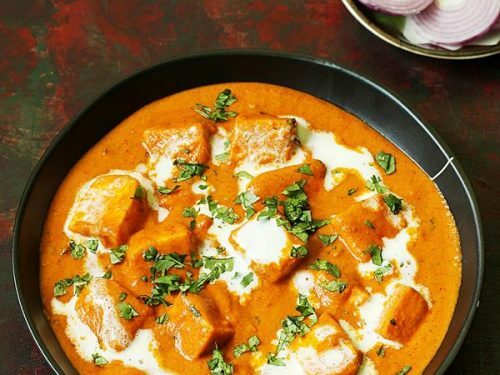 on the inner side, spread the curry in a thin layer, sprinkle some coriander leaves if you like. 7. If you do not have a toaster, you can toast in on a tawa on both the sides. Gently flip the bread else the curry will mess up. If making in toaster. Cover with another slice and toast following the manufacturers guidelines. 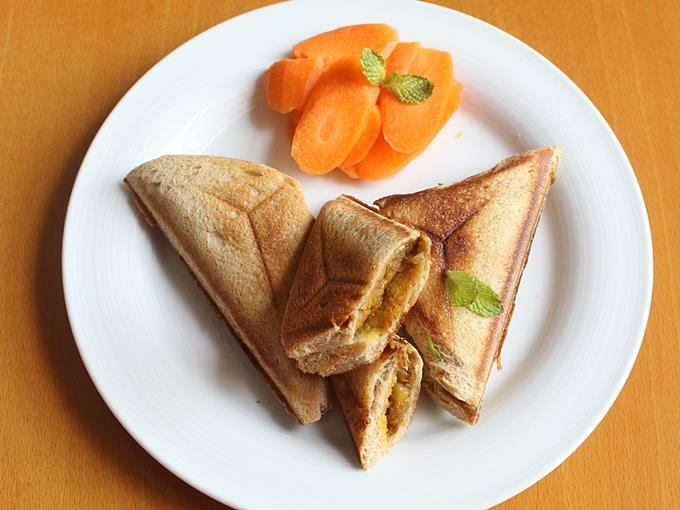 Serve potato sandwich for breakfast or snack. 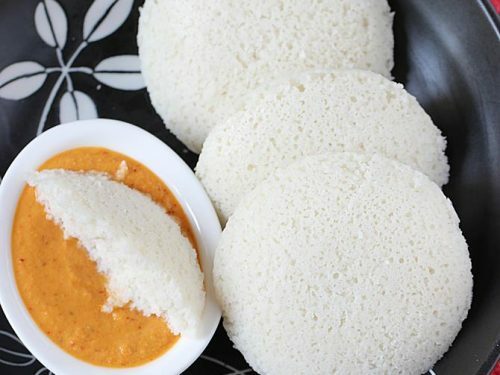 Can we pack these sandwich for lunch boxes?? 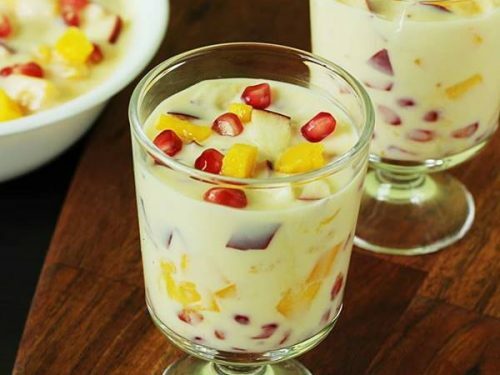 Very Nice and healthy recipe? thank for your sharing. I like all of yours sandwich. I’ll try to make it. I added tomato sauce as extra and it tasted awesome. I think I added more spices but my mother told me It was awesome. Well it’s hard for a guy to cook. Sprouted flour is nothing but whole grains sprouted, dehydrated and then milled.